It is exciting to have some work that seems to have a good amount of staying power! This seems to be the case with the “New Mainers” photographs. The Maine Historical Society is using the photographs for an exhibit planned to open in February 2016. The photos will be displayed with materials about immigration in Maine, going back 400 years. It seems to be a timely exhibit, taking into account the recent talk about the subject. 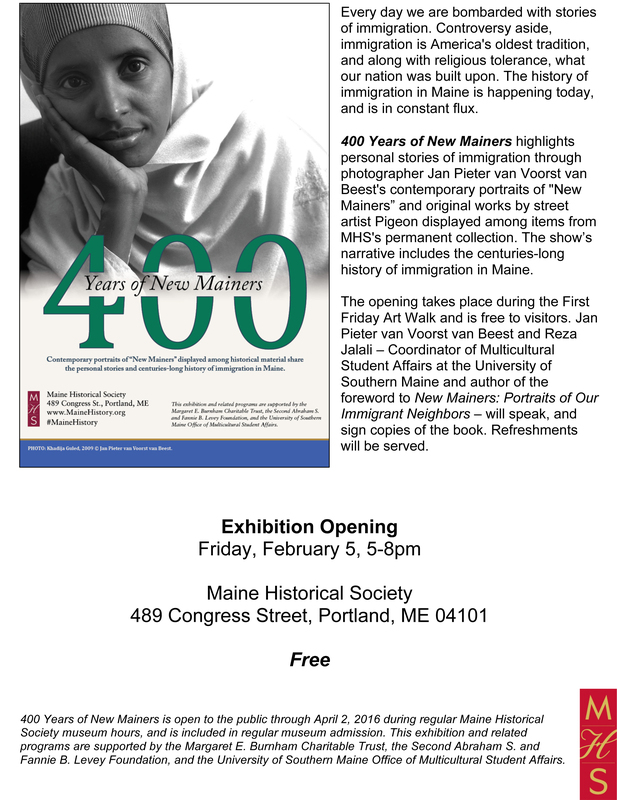 The Maine Historical Society created a wonderful poster , using the photograph of Khadija Guled (On the cover of the “New Mainers” book). Tilley Laskey of the Maine Historical Society and University of Maine’s Reza Jalali (who wrote the foreword of the book), curated the exhibit.